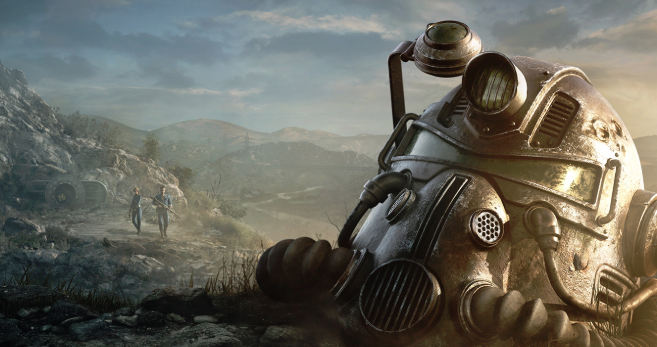 Bethesda continues to fix Fallout 76, our review here, with another new patch available soon. Patch 5 is set to target known issues within the game and alter specific perks such as the Demolition Expert perk and White Knight perk. Performance: Several additional improvements have been made to in-game performance. Perks: The damage bonuses provided by each rank of the Demolition Expert perk have been reduced from +20%/40%/60%/80%/100% to +20%/30%/40%/50%/60% to match other weapon perk damage bonuses. Perks: The condition loss bonuses provided by each rank of the White Knight and Licensed Plumber perks have been reduced from 30%/60%/90% to 20%/40%/60%, and their repair bonuses have also been reduced, to match the Power Patcher perk. Dev Note: In looking at the Demolition Expert, White Knight, and Licensed Plumber perks, we felt they have so far been overperforming in their current roles, and we wanted to bring them more in line with similar perks to help prevent them from feeling like mandatory picks. Weapons: The Explosive legendary mod’s damage bonus has been reduced from +100% to +20% of base weapon damage, with explosive radius damage. Weapons: The Two Shot legendary effect’s damage bonus has been reduced from +100% to +25% of base weapon damage. Dev Note: As mentioned in a previous Inside the Vault article, both the explosive mod and two shot weapons could result in dealing very high amounts of damage, and this was compounded if two shot and explosive were combined. We’ve decided to tone both of these damage bonuses back. Weapons: Flamers, Cryolators, plasma weapons, and laser weapons can no longer spawn with the Explosive legendary mod. Dev Note: The explosive mod causes weapons to fire bullets that are . . . explosive. The weapons listed above don’t fire bullets, so we’ve temporarily removed the ability for them to spawn with that mod applied so we can make adjustments. Scrapping: Loose weapon and armor mods are now protected from autoscrapping when crafting. However, they can still be scrapped manually if a player wants to break them down into scrap components. Turrets: An “(Owned)” tag will now appear next to the names of Turrets a player has built in their C.A.M.P. or a workshop. Carry Weight: Is now capped to an absolute limit of 1,500 pounds over the character’s current maximum carry weight. For example: If your carry weight limit is 210 pounds, then your maximum limit is 1,710 pounds. Characters will be unable to exceed this new weight limit moving forward. Characters who already exceed this limit will be unable to add any additional items or caps to their inventories until they have reduced their carry weight below the cap. Dev Note: These limits exist primarily to keep servers from performing poorly, which can happen when we have too many items in the game world. They also play role in helping to regulate the in-game economy. We do recognize the desire to be able to own more of the cool items that we have in the game, and we are looking into a variety of solutions, including increasing the stash size. We will be sure to talk more about this when they are ready. Cap Stashes: To help address cap exploits, caps stashes have been turned into containers, which allows them to properly reset and provide players with instanced loot. Plans and Recipes: When viewing a plan or recipe in a menu, a “(Known)” tag will now appear next to the names of recipes and plans the player has already learned. Vendors: Recipes and Plans in Vendor inventories are no longer randomized and can now be reliably sourced from those Vendors, with the exception of some minor Workshop and C.A.M.P. Plans. The appearance of many Plans and Recipes in Vendor inventories is based on player level and they will show up once the proper level has been reached. Additional structural Plans for wall sets, power connectors, doors, generators, and water purifiers have also been added to some Vendors. Hunter/Hunted: A server-wide message will now appear when a player joins the Hunter/Hunted queue. This message will only be displayed once per player to avoid spam. An additional server-wide message will be displayed when Hunter/Hunted is ready to begin in order to give other players a final chance to join. Belly of the Beast: A new “Ultracite Power Armor” entry has been added to Taggerdy’s Terminal on the top floor of Fort Defiance, offering Ultracite Power Armor plans to those who read it. First Contact: A new miscellaneous objective will now appear upon reaching the Overseer's C.A.M.P. for the first time, prompting the player to place a C.A.M.P. of their own. Gauley Mine: A new miscellaneous objective will now appear at Gauley Mine to introduce players to Ore Deposits. Monster Mash: The amount of XP awarded per round during this event has been reduced from 350 to 100. Lighting: Lighting no longer flickers throughout Arktos Pharma. Apparel: Fixed an issue that could cause a character’s legs to show through the Rose Dress while it is equipped. Artillery: Fixed an issue that could prevent Artillery from being placed in valid locations. Blueprints: Addressed an issue preventing players from placing a stored blueprint containing posts that were placed partially underground when the blueprint was originally saved. Budget: Scrapping a stored blueprint that contained wires will now correctly remove those wires from the C.A.M.P. budget. Exploit: Addressed an exploit that could allow players to duplicate their stored blueprints. Exploit: Addressed an exploit that could allow players to reduce their carry weight to a negative value. Foundations: Fixed an issue that could cause a “Cannot place item: Needs support” message to display when editing a partially floating foundation. Power Armor Station: Players can no longer view power armor they do not own when attempting to access a power armor station that’s occupied by another player. Scrapping: Ignition Cores crafted for the Earth Mover event are no longer automatically scrapped when using the Scrap All Junk option at a Workbench. Scrapping: Junk items that need to be manually scrapped are no longer automatically scrapped for components when attempting to craft. Stored Objects: Repeatedly attempting to place an Atomic Shop variant of an object the player had stored but does not own no longer prevents them from placing other variants. Structures: Fixed an issue that could prevent a C.A.M.P. or workshop structure from being edited when building levels had been merged or split several times. This fix is not retroactive and will not apply to structures built prior to today’s patch. Collect Holotape Games: Nuka Tapper sub-challenge can now be completed by playing the Nuka-Tapper holotape game. Formal Wear Challenges: Pantsuits and Shortsuits now correctly count as formal wear when completing challenges. Gather Building Supplies: The “Scrap items to produce fertilizer” condition has been updated to "Collect Fertilizer" and can be completed by salvaging or crafting it using spoiled fruits, vegetables, and meat. Learn Cooking Recipes: This challenge will now recognize many additional cooking recipes when they are learned for the first time. Retroactive credit will not be awarded for recipes learned prior to today’s patch, but that is planned for a future update. A.I. : Fixed an issue in which some enemies could chase the player farther than intended and become frozen in place. Exploit: Addressed several XP exploits by adding a limit to the maximum amount of XP granted by a single kill. Looting: Fixed an issue that could prevent players from looting goo and ash piles after killing an enemy with a laser or plasma weapon. Loading: Fixed several issues that could cause characters’ body parts, equipped apparel, or armor to become temporarily invisible to other nearby players or teammates after loading into a world. Monorail Elevator: Fixed an issue that prevented the Monorail Elevator near the edge of Cranberry Bog from taking players to the top floor. Performance: The Scorched Earth event has received optimization improvements. Performance: On laptops with more than one graphics card, Fallout 76 will now default to using the dedicated graphics card rather than an integrated card. Performance: Launching the Traditional or Simplified Chinese game clients on Xbox One no longer causes a 6 second hitch when the launch video begins to play. Bobbleheads: Using multiple Explosive Bobbleheads no longer causes their effects to stack. Exploit: Addressed an exploit that could allow players to duplicate items using MODUS Vendors. Exploit: Addressed an exploit in which the Vampire legendary effect could restore health through unintended means. Magazines: Removed magazines from several locations where they were unintentionally guaranteed to spawn. Tomahawks: No longer become stuck in mid-air after striking a hostile creature or player. Magazines: Guns and Bullets #5 now correctly provides bonus components when scrapping weapons, but no longer specifies a 50% increase. Magazines: Tesla Science #6 now correctly grants bonus Rad Resistance. Rad-X: Consuming multiple Rad-X or Diluted Rad-X no longer causes their effects to stack. Health Bonuses: A player with very low health who unequips an item that provides bonus health will no longer be instantly killed if removing that item that would cause their health to drop to or below 0. Paper Bags: Fixed multiple issues in which transferring items into an empty paper bag as the bag was despawning caused those items to become lost. Pip-Boy: Fixed a rare issue that could cause a character’s Pip-Boy to go missing. Power Armor: Entering a suit of power armor no longer occasionally causes it to become invisible to nearby players. Butcher’s Bounty: Searching a dead Tick with the Butcher’s Bounty perk equipped can now correctly produce additional Tick Blood. Cap Collector: Now requires players to search caps stashes, much like other perks that grant a search option for containers. Exploit: Addressed an exploit affecting the Curator perk. Fireproof: Flame attack damage reduction provided by the Fireproof perk now correctly applies to Molotov fire damage. Serendipity: A notification will now appear on-screen and sound effects will play whenever the Serendipity perk’s effects are triggered. Super Duper: Can no longer trigger when crafting quest items. Traveling Pharmacy: Now correctly applies its weight reduction effect to Radaway, Diluted Radaway, Stimpaks, Diluted Stimpaks, Bloodpacks, Glowing Bloodpacks, Disease Cures, and Antibiotics. Respawn: Fixed an issue that could prevent a player who was killed in water from correctly ending PVP upon respawning. Stealth: Addressed an issue in which stealth damage bonuses could still be applied by a sneaking player’s attacks during PVP even that player was within their target’s direct line of sight. Wanted: Fixed an issue that could cause the bounty amount for a Wanted player to appear halved on the map when approaching that player in the game world. Breach and Clear: The Meteoric Sword now correctly has a slim chance to spawn in containers during the Breach and Clear event. Early Warnings: Quest progress will no longer become stuck when crafting Upgraded Motors and logging out after crafting Upgraded Motors will no longer reset the quest tracker to 0/5. Events: Fixed an issue that could allow a player to simultaneously join two different events. Events: Fast traveling after joining an event will now correctly remove the player from that event and will no longer prevent them from joining proximity event at their fast travel destination. Flavors of Mayhem: Rose will no longer occasionally play unrelated voiceover lines when attempting to turn in Flavors of Mayhem, and the player is no longer prevented from correctly completing the quest. Signal Strength: Fixed an issue that could prevent Rose’s introductory voiceover lines from playing when the player approaches Top of the World. Second Helpings: An area marker will now appear for the “Find Delbert Winters in Flatwoods" objective to better inform players about their options for proceeding through the quest. Diseases: The Rad Worms disease now correctly increases rad damage taken by 50%. Weapons: Breath sound effects will now play correctly when activating the Hold Breath option while zoomed. Display: Fallout 76 will now better autodetect AMD 7900/8900 series and AMD Radeon R9 200 Series graphics cards. Field of View: Addressed an issue causing camera clipping near walls when using a very high Field of View setting. Hotkeys: Fallout 76 now better supports French AZERTY keyboard layouts and the game’s controls will adjust accordingly. Hotkeys: While using a French AZERTY keyboard, the “/” key can now be properly rebound in the controls menu. Loading Screens: Fixed an issue that could cause loading screens to appear cut off or black at different resolutions when entering a building’s interior. Map: Character levels no longer appear truncated on the map for players over level 100. Nameplates: Fixed an issue that prevented player nameplates from appearing while inside the nuke zone during the Scorched Earth event. Nameplates: Fixed an issue that prevented the crown icon from displaying next to legendary enemy nameplates. Social: On Xbox, after sending a friend request to another player a notification will now display to confirm that a friend request has been sent. Social: The “Invite to Team” option no longer appears for players who have already joined the team. Social: If an attempt to fast travel to a friend or teammate using the Social Menu fails due to nearby enemies the player will now be notified by an error message that states "You cannot fast travel when enemies are nearby". Trading: Decreased the wait time required between trades when making multiple trades with another player. If players attempt to make multiple trades too quickly, a new "Trade failed due to frequency, wait a moment and try again." error message will now display rather than the previous “Trade Failed on Server” message. Trading: Fixed an issue on PC that could cause the player’s cursor to appear on both sides of a trade menu at the same time. Tutorials: New players will now receive a tutorial message informing them of the Change Appearance option in the Main Menu. VATS: Now selects targets more consistently across different field of view (FOV) values. For example, VATS will no longer target enemies that are visible in peripheral vision at high FOV values, but would be off-screen at default FOV values. This fix will help prevent VATS from providing an advantage to players who use high FOV settings. VATS: Fixed an issue that could cause the VATS interface to rapidly flicker on and off. Voice Chat: Fixed an issue preventing the speaker icon from appearing to others while a player is speaking over voice chat. Workshop Previews: The player’s current Atom balance no longer appears truncated when viewing an Atomic Shop item in the workshop preview at 16:10 and 21:9 resolutions.